An equalising goal from Jobi McAnuff was enough to ensure Leyton Orient retained a crucial point against fellow strugglers Chester City at Brisbane Road on Tuesday night. It could have been far worse for the O’s who had Jamie Sendles-White sent off for a foul in the penalty area in the first half. However a good save from the ensuing penalty from Ross Hannah by Sargeant in the Leyton Orient goal ensured the O’s didn’t go down 3-1 before the break with a man disadvantage to boot otherwise it was surely curtains for the east London outfit. A defeat to Chester by the O’s would have seen their respective National League positions reversed and worse still see the Londoner’s drop into the National League relegation zone for the first time in their history in their first season in the league. The fact that Orient regrouped in the second half and carved out a goal to nab a point showed courage and commitment in what has been another dreadful season so far for the O’s. The contributing factors were bravery and not being scared to battle and they did both in the second half with aplomb. It all started so well for manager less Orient, who are now without a win in a whopping 13 league matches, when leading scorer Macauley Bonne headed them into the lead after six minutes. Just what the Doctor ordered for a team needing more than a night nurse to get them out of their dire current form that stretches back to the first week of September. Caretaker manager Ross Embleton kept faith with the same starting line up from Saturday with the bench identical as well. This was the first time in what seemed like donkey’s years there were no changes to the team or squad for subsequent match days. Unfortunately for Chester their squad was devastated by injuries and suspensions and manager Marcus Bignot was down to the bare bones naming only four players on the bench who had limited experience. Orient came out of the traps on fire as the O’s dominated the early exchanges and won three corners in succession. Orient took the third corner short and McAnuff curled in another good delivery, which Bonne flicked over Alex Lynch and into the net after 6 minutes. Chester recovered well and equalised on the quarter hour mark. An Andy Halls cross took a deflection and looped up into the air. James Akintunde swung his leg at the delivery and got the faintest of touches, which wrong footed keeper Sam Sargeant and despite his best efforts, the ball allegedly crossed the line. The first half ended in controversial circumstances when Chester were given a penalty in the 43rd minute. Keeper Sargeant was at fault, coming out for a long ball and missing it, which allowed Nyal Bell to run towards goal however Sendles-White got back at him and despite hardly any contact, the Chester man went down. The referee, to the astonishment of all home fans, pointed to the spot and duly sent off the O’s defender. Yet Sargeant stopped the penalty, however, with a low save to his right with Hannan denied his second of the game. Ross Embleton was then sent to the stands on half time and after five minutes of stoppage time, an end to end first 45 ended 2-1 to the visitors, yet only after Dan Happe had a goal disallowed. The second half was quieter (it had to be) and Jobi McAnuff controlled around 30 yards out and let fly with Lynch having no chance as the ball nestled into the corner on the hour. A cracking goal and Brisbane Road went barmy. 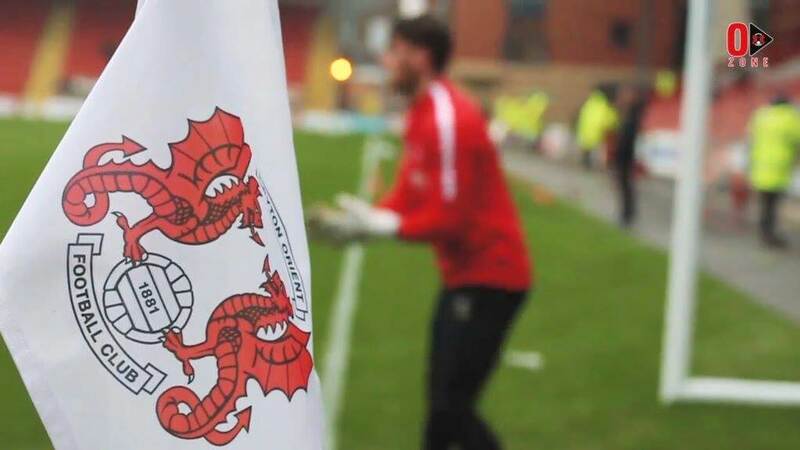 In an almost full fixture list in the National League on Tuesday bottom team Solihull played top team Wrexham and narrowly lost 1-0 at the Racecourse Ground. Torquay had a great win at Sutton to take them off the bottom and above Solihull. Guiseley’s game against Fylde was postponed due to a waterlogged pitch but Barrow overtook Orient in the placings with a decent 2-1 away victory at Gateshead. Leyton Orient now slip to 20th place just above the relegation zone with Chester right behind them. Eastleigh’s draw with Maidenhead gives them some breathing space in 18th place. Orient battled hard and deserved their point and next up is 23rd place Torquay. If you fancy a bet on Leyton Orient then why not checkout this link.